Crawling and walking means you’re in the “jack-in-the-box” parenting phase where you feel as though you never get to sit down for more than a few seconds at a time! You are continually jumping up to move objects, rushing to cushion a bumped head, or going in search of a moaning little one who is stuck somewhere! So what’s the big idea behind crawling? Occupational Therapist for Nubabi, Lourdes Bruwer, explains that crawling is one of the milestones with the most far-reaching effects on a wide variety of developmental areas. The process of learning to crawl and mastering this skill influences not just your baby’s gross motor abilities but also their sensory, cognitive, perceptual, speech and language, motor planning and fine motor abilities. Once your baby is up on all fours, gravity offers a whole new sensory experience for their little body, which provides their muscles, joints and tendons with a multitude of new sensations and information. They use this information to learn where their body parts are in relation to each other, as well as to the ground. Carly Tzanos, Occupational Therapist, adds that the benefit from developing this body sense will impact school related tasks, such as writing or cutting. One of the most significant benefits gained from sufficient crawling is the development of physical stability needed for fine motor skills. Stability, specifically in the shoulder girdle, is developed while your baby learns to rock, shift weight and move in a crawling position. This stability in the shoulder allows him to be able to move his lower arms and hands freely while the shoulder is held still. Another benefit of crawling is the development of vision and perception. While learning to negotiate small spaces your baby will discover the scope as well as the restrictions of his physical environment. Lourdes explains that although a baby is far away from holding a pencil and spacing letters on a line, they are cleverly mastering the foundations of this complex academic task. As the left and right sides of his body work together in crawling, their brain is also making connections between the left and right sides. For many multifaceted tasks (e.g. eye-hand coordination, speech and language development, reading skills, etc.) some components are controlled by the right side of the brain while others, are controlled by the left. The two sides of the brain need to be able to communicate well for efficient performance in these areas. Lourdes and Carly remind us that the start of crawling is “tummy time”. A few minutes at a time is all it takes to get started. on the arm of a couch so you can “chat” with your face at their height. Try singing nursery rhymes or playing with puppets. There are many types of crawling but the most beneficial way is to encourage your baby to crawl on all fours (i.e. on their hands and knees) says Lourdes. This type of “traditional” crawling helps to strengthen shoulder girdle stability, develop the arches of the hands, bilateral control (the use of the two sides of the body together), sensory systems, dynamic balance, hip and neck development as well as learning to move their arms and legs independently. Progress and maturity of these areas of development form the basis for tasks such as sitting at a desk, writing, cutting, drawing, being able to tie shoelaces, writing from the left to the right side of the page and motor planning (being able to plan and execute purposeful movement). 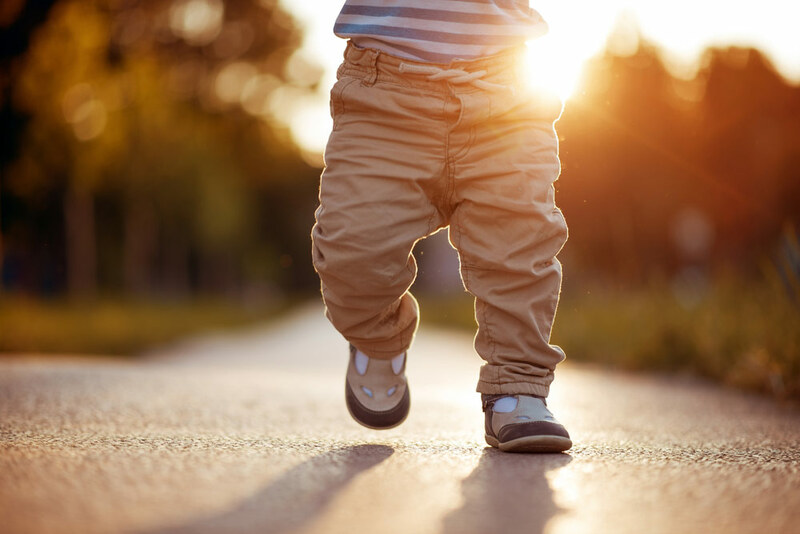 Although most parents are anxious for their babies to start walking soon after they start crawling, try not to be in too much of a hurry for crawling to stop. Carly encourages parents to get down on their level with them because time spent cementing this skill is well worth it when you remember all the amazing areas crawling impacts for life long learning. As your little explorer gets more adept at motoring around on all fours they will start to get curious about what else their environment has to offer! They will start to pull up on anything and everything as they starts to work on developing their standing balance in preparation for walking. Baby walkers and jumpers - developmental help or hindrance? Does your baby really need to crawl?